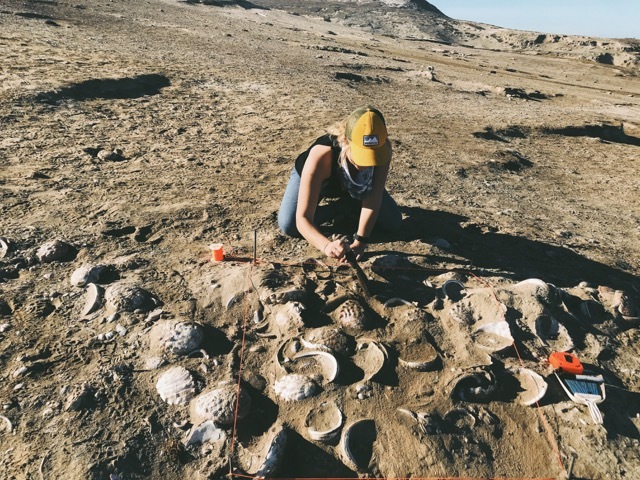 This past year, students from Dr. Terry Jones’s Archaeological Field Methods class (ANT 310) assisted with excavations conducted by the National Parks Service on islands off the coast of Santa Barbara. 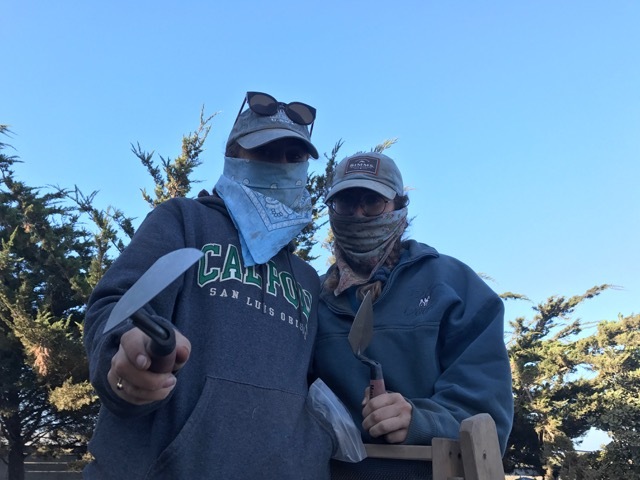 In fall 2017, Hannah Ehrlich, Alessia Isolani and Maddie Noet boated to Santa Rosa Island where they worked for several days with Park Service archaeologists and Native Chumash representatives on an ancient Paleo-Coastal (more than 12,000-years-old) site that was discovered in the midst of a National Parks construction project. The excavation was intended to salvage materials from the deposit before construction could resume. In winter quarter, Ehrlich assisted on a salvage excavation on San Miguel Island where a 5,000-year-old coastal site was in danger of eroding away due to storm surge and sea level rise. Ehrlich worked for several days with a small crew of professional archaeologists, exposing a dense concentration of very large red abalone shells that were the product of meals consumed over 5,000 years ago. Since graduating in March, Ehrlich has secured a full-time position as a field archaeologist with a San Luis Obispo consulting company. Isolani and Noet will graduate in 2019.